To Pee or to not pee, where does the child with Autism go to the bathroom? I have a question for you on what are you going to do about the relief issue of Autism. Fine you refuse to acknowledge that there is an epidemic of children with Autism, I get that, I got that 6.75 years ago when I walked into the world of Autism and the numbers were 1:150, and that was of children 8 years and older and my child was under 3! With every turn of budget cuts I get you do not want to deal with me or others like me, but realize I am here and I am not going away. My child is not going away, he is only going to get bigger and need more help. Ok you don’t want to deal with if vaccines cause Autism, today, I will let that issue go and say FINE! (And yes that is the FINE in the tone you do not want to hear your spouse say it) But this issue I have WILL not go away and you will need to fix it our deal with the route of the problem. The American’s with Disabilities Act Will need to be fixed and as soon as possible. Every new commericial building built in America needs to have a “family” bathroom. Bottom line our kids are coming in mass numbers and sorry they come with parents of 2 sexes and we need bathrooms that accommodate 0-100 year olds with disabilities. Family bathrooms in every new commercial building are a must. Personally my child with Autism, in my mind is not fully potty trained, but he definitely does NOT like to soil himself. Anywhere he knows where the bathroom is, if given the chance to escape, he will run to the bathroom to relieve himself. Unfortunately he also loses all his clothing and shoes in the process. Tonight that happened and he ended up in the men’s bathroom with me in chase. Fortunately my husband was within eye view and came to the rescue. For the single parent or for the parent out with the opposite sexed child this can be an extreme issue. Had I been alone, I would have been in the Men’s bathroom STAT!!! I don’t care who was going in the urinal, I would have seen your junk. My child with Autism can’t be left alone EVER! His Autism leaves him open to eating, licking, mouthing and touching anything and everything inappropriately. This has been well documented by us and his teachers at school. It also leaves him open to inappropriate people in a bathroom. Sorry, no way in HELL my kid is going to be alone in a bathroom. I am more than fine with making you the normal male uncomfortable with me being there to protect my kid! This is unacceptable. I know private business will object, but I am sorry they will have to change to adapt to 1:110 kids with Autism, every new business, every new buildings must have family bathrooms. We are 1:110 and we are just talking Autism, we have not even touched on any other disability. We are here and we are NOT going away! An open letter to Henry's or any Health Food Store who wants to be the leader in the industry for "Allergy Friendly Stores"
I shop at Carlsbad (El Camino Real) Henry's Farmers Market almost daily. As a parent of a child with several food allergies, I cook from scratch a lot and seek gluten and casein free products which you as a health food store specialize in. After reading the actual label I can tell you that more than just those ingredients are missing. Considering your company caters to families like mine who seek gluten free and other allergy friendly products, I am requesting that you perform allergy training with ALL your employees. In my opinion it should be training upon hiring and that you should also have training on this subject yearly to make sure that it is fresh in everyone’s minds. I also think that every time a product vendor changes the manager in that section should compare the printed label for the deli section to the new ingredients list. As a parent of a child with allergies, I prefer the time to read the label myself then to have something mislabeled. I have been doing this 6.5 years and am not the average parent. I have a learned to adapt and have a keen sense on what does and does not have wheat, which is how I caught the BBQ Beans. Unfortunately not every parent is me, and especially new parents, they have to rely on correct labeling. I also feel that when a question about labeling comes up, that any employee should be empowered to pull either the product or the labeling immediately until management can be consulted on the issue. The reason I feel this way is because theprevious 2 times that stand out in my mind the employee said ok I will let the manager know and left the mislabeled product on the shelf. 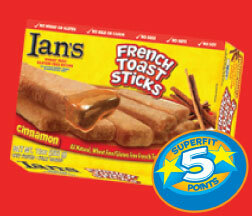 The 1st was with an Ian’s product in the freezer section. Ian’s clearly uses red for gluten free products and blue for non- gluten free products. When the employee did nothing, I took down the gluten free sign and placed it with the appropriate product. The 2nd was in the fresh bread isle, a non-gluten free product was misplaced. I handed it to the worker and she promptly placed it back on the shelf and said she would tell a manager. I again promptly said that is not good enough and moved the label and the bread to a different shelf myself. I fear my letter will discourage you from labeling. I really and truly do not want it to do that. I want it to encourage you to be proactive and be the standard the rest of the health food stores strives to live up to their standards. As food allergies increase we need more stand up companies, who make the effort to support our causes. Families like mine drive to stores who do this; a great example of this is a small family owned store in San Clemente, CA called Stella Lucy’s. I will drive the 26.3 miles, plus traffic, to check out what new gluten free products they have found that my local health food stores have not. I then test the products on my family and see how well I think they will sell locally. Once I have done that, I encourage my local stores to carry the products. I think Patrick of the Carlsbad (El Camino Real) Henry's Farmers Market can attest to. 3 products I have requested and 1 that I requested to be brought back are doing quite well in the Carlsbad Store. Maybe it is time for Henry’s to look into hiring someone with a child with food allergies to help at the corporate level with the decisions on what will and will not sell. Your own Sun Harvest brand of Organic Baked Beans, I purchased off the shelf, according to the label is in fact gluten, wheat, and soy free, it would be a great addition to your deli selections. In closing I am asking you to stand up in the health food store industry and be the leader in allergy standards, make Whole Foods, Sprouts, Trader Joes, Frazier Farms and the other health foods stores want to be you. Shannon Primer, parent to Austin Primer age 9 allergic to Gluten (wheat, rye, oats, and barley), milk (casein), egg and apple, who hopes to change the world of every person who has a food allergy. 5) The proper placement at school &/or living situation. 6) An understanding mainstream doctor. Dear Lord grant that to me and my fellow PITA's. 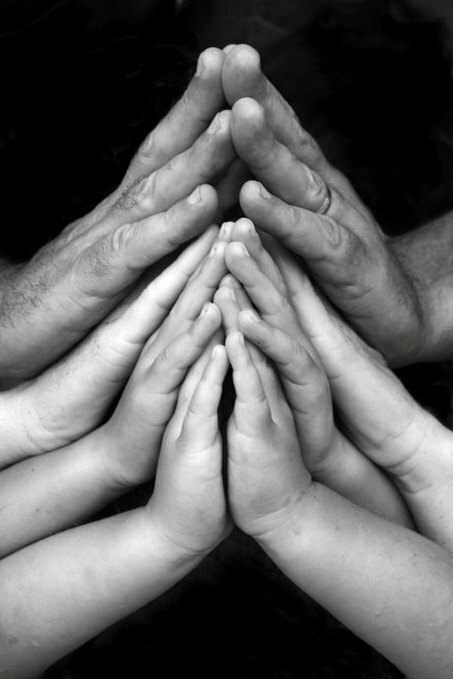 I know you answer prayer, I know I need to remember to pray, but please remember we the families of children with Autism are very much in need and in need of you, please remind us we just have to ask it of you to help. Thank you, Lord and Savior, Jesus Christ.